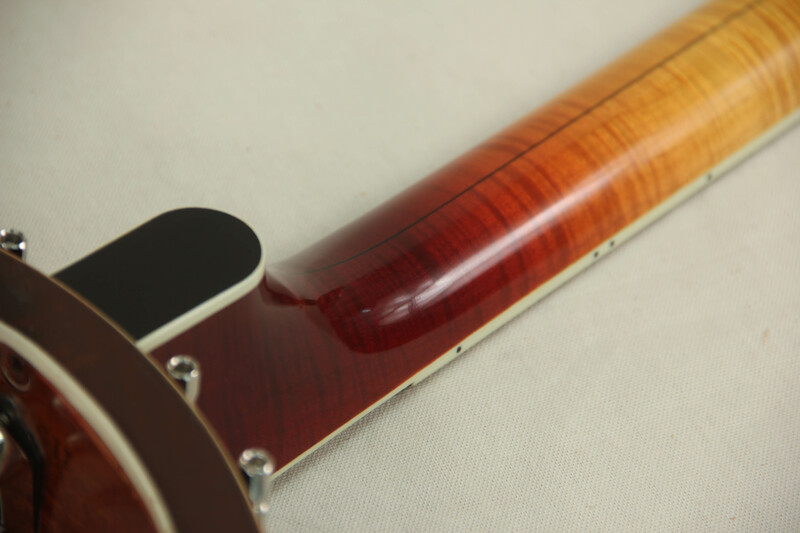 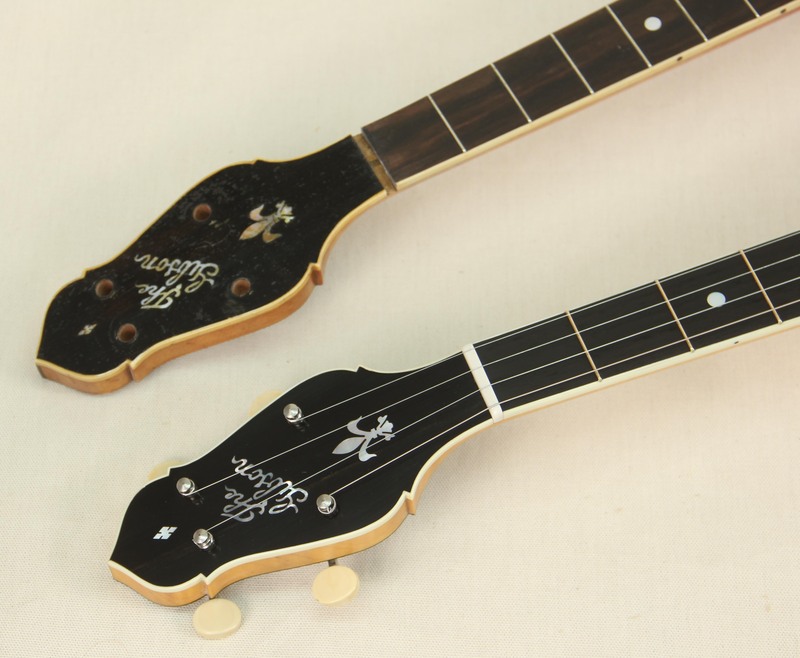 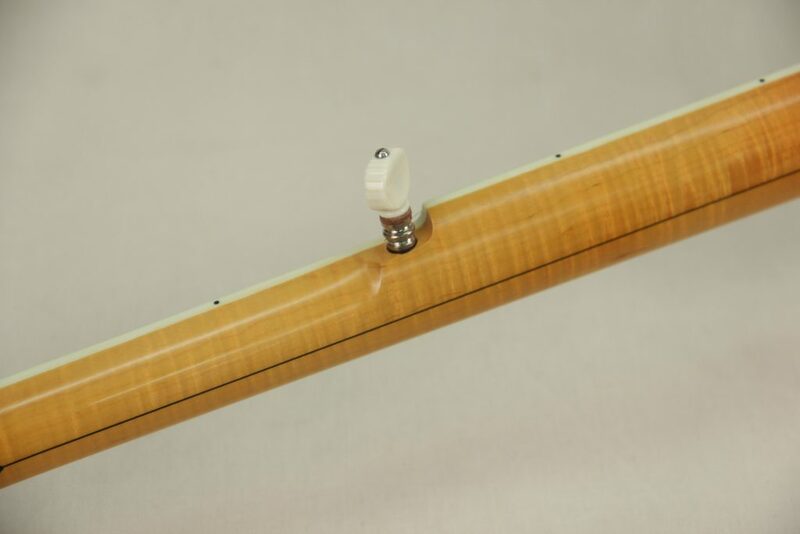 This Gibson conversion banjo was built along side an identical rim that received the same style of neck to match the original details with a few minor changes. 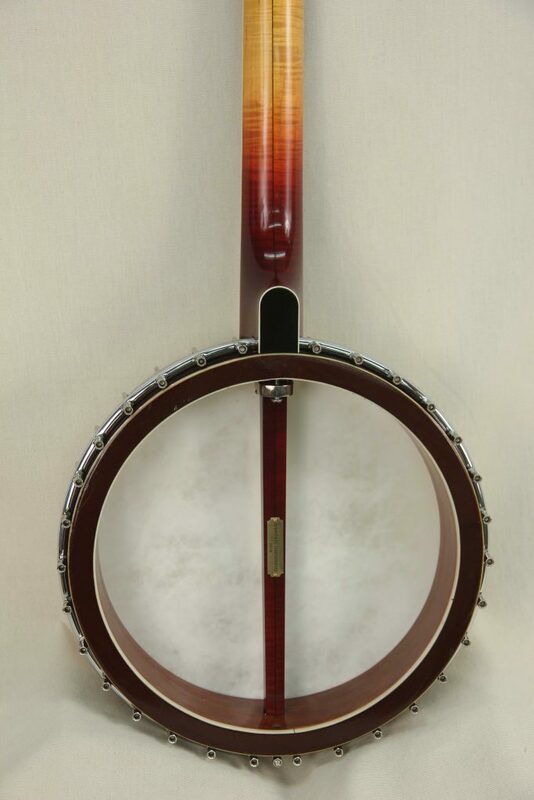 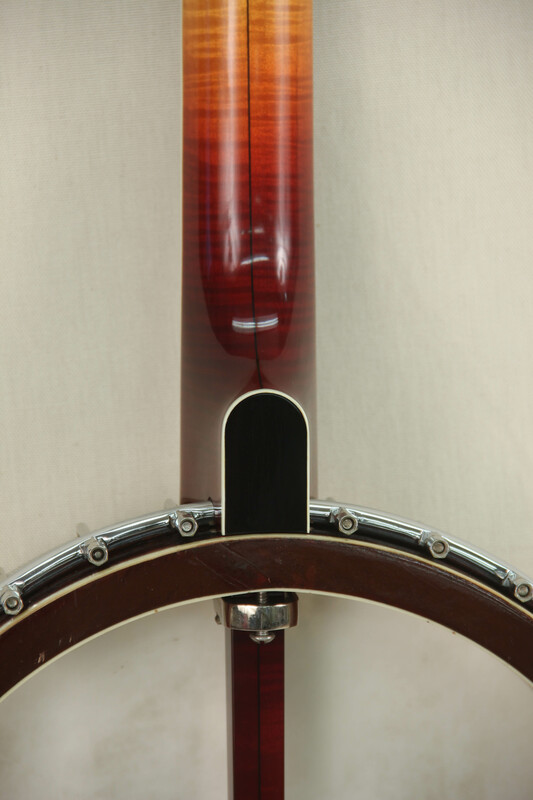 The Victor Kraske design and patent led Gibson to create the very unique hollow rim design for the first banjos they ever produced starting in 1918. 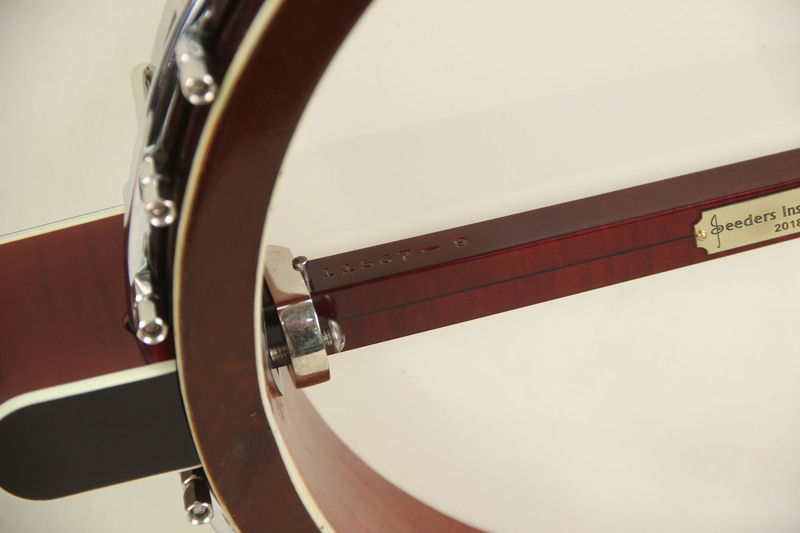 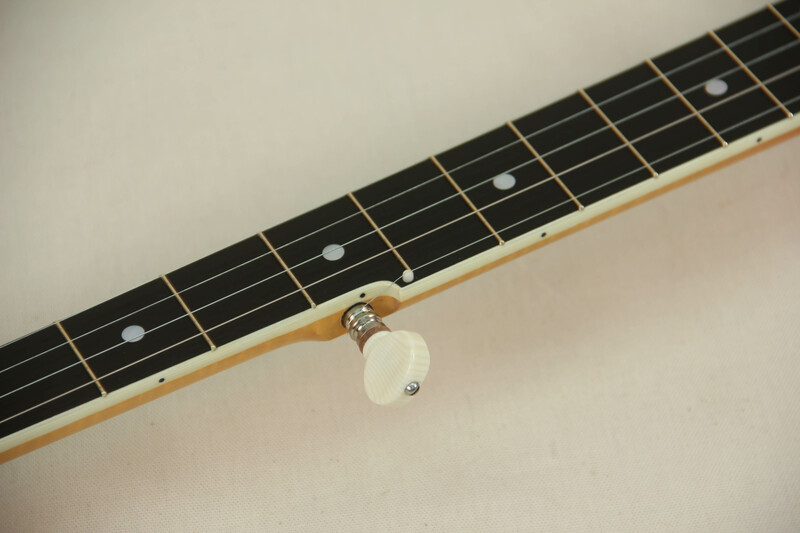 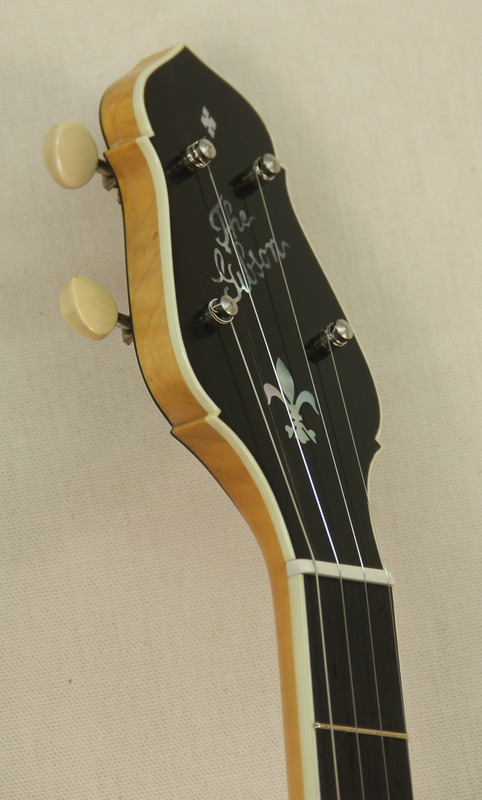 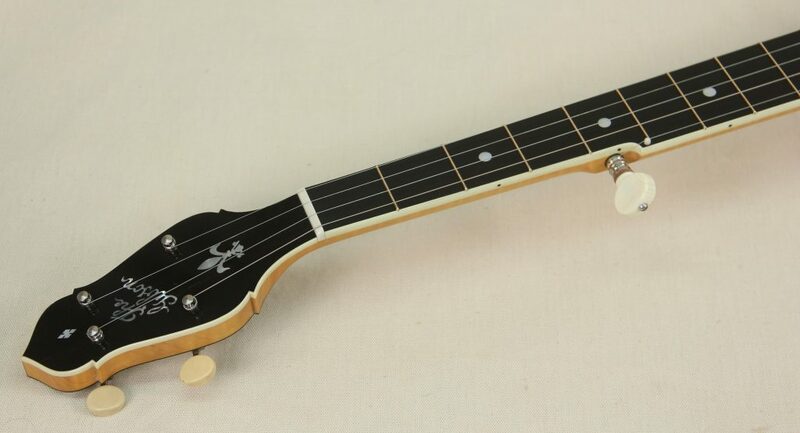 The hollow 12″ rim design gives these banjos a very unique tone and timbre that you won’t find in a traditional solid rim construction. 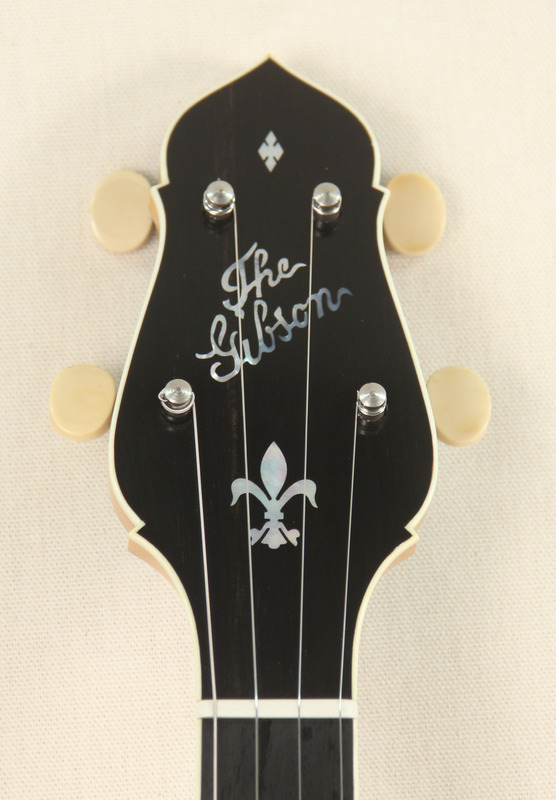 More information about these early Gibson banjos as well as some history of Victor Kraske can be found here. 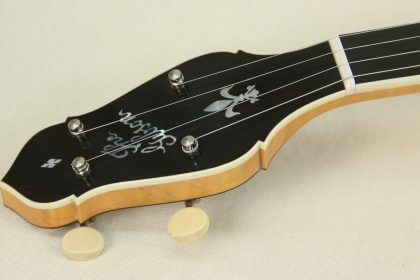 As no original five string versions of these banjos were ever known to be produced by Gibson they are only heard as such with conversions to five string necks. 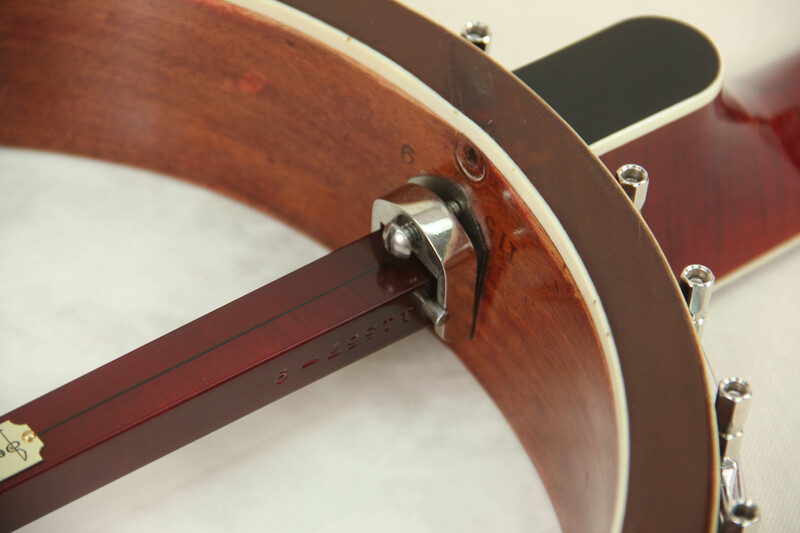 This rim at some point was refinished and lost it’s original Gibson label inside the rim but it is undoubtedly an original Gibson rim. 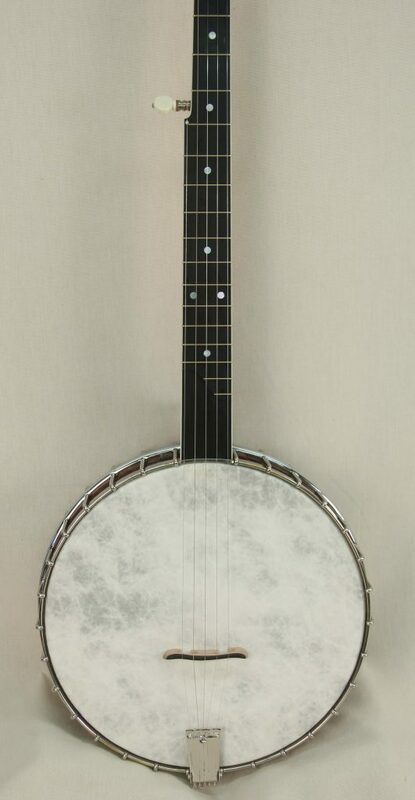 This particular banjo is currently owned and played by the talented Nora Brown of Brooklyn, NY.